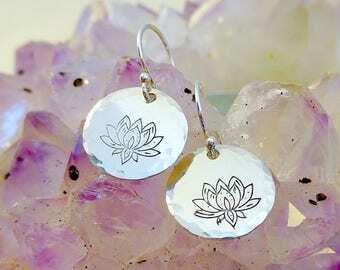 Hand stamped dandelion & seed motif, pressed into sterling silver. 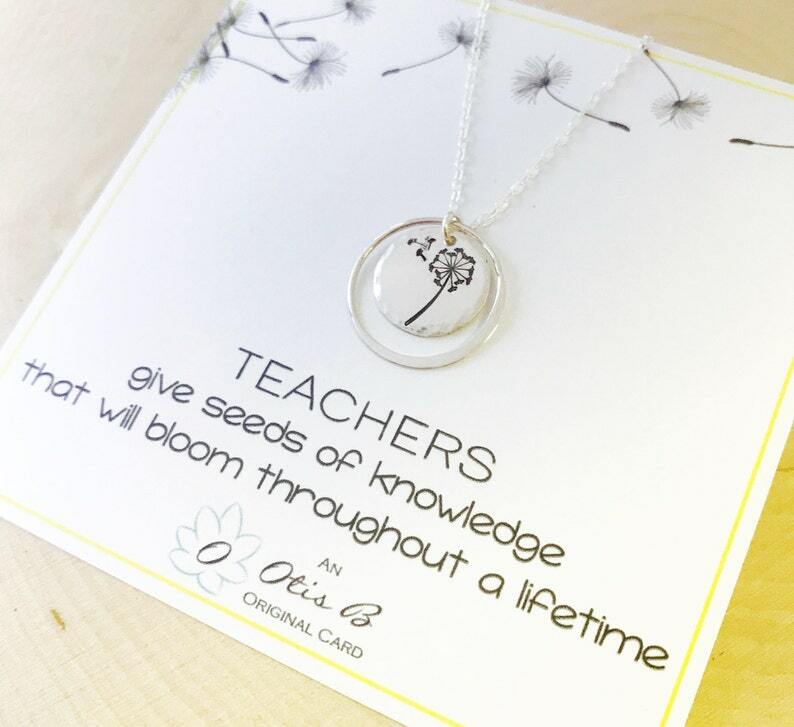 A lovely and meaningful gift for your favorite educators. The dandelion is hand stamped onto a circular disc measuring 13mm in size and is encircled by an 18mm eternity ring, optional. The pendant is suspended from shimmering cable chain that is dainty yet durable, and is secured by a lobster clasp that is flanked by tiny freshwater pearls, an Otis B signature and an elegant finishing touch. Various lengths are available, the length shown on our model is 17" , you may select lengths up to 20" at no additional cost. 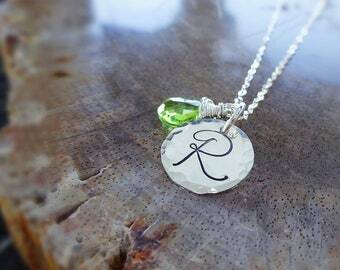 Length includes the clasp and chain. This necklace is 100% sterling silver or 14k gold filled (rose and yellow gold fill are both available!) and will arrive to you on the card shown and in a gift box with ribbon wrap, along with care instructions, protective storage bag and polishing cloth to help ensure the necklace is treasured, worn and enjoyed for many years to come. Very pretty...I received a thank you from the recipient saying she hasn't taken it off since she received it!